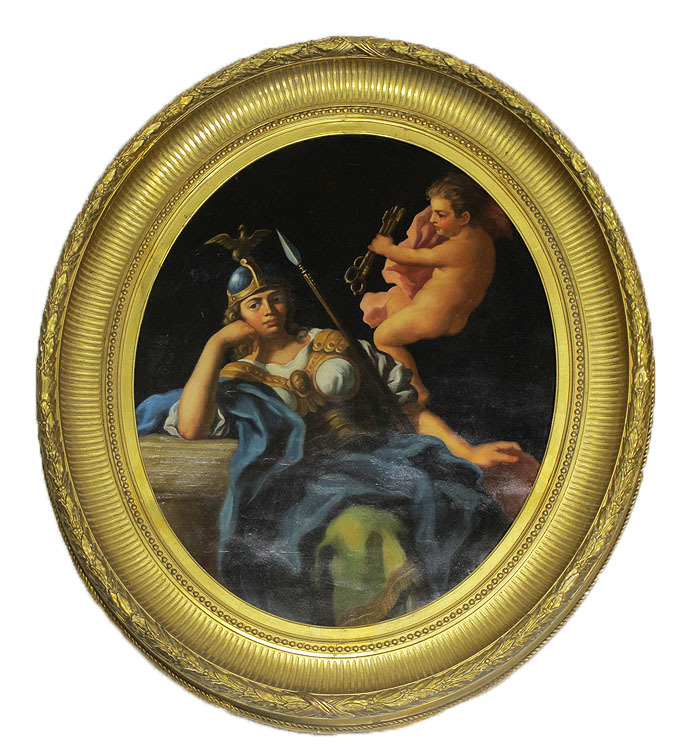 A Fine Pair of French 19th Century Oil on Canvas "Allegory of Fortune and Virtue" the oval canvas depicting Fortune as a classical seated elegantly dressed maiden tossing gold coins on a plate, flanked by a putto holding Fortune's red blanket. 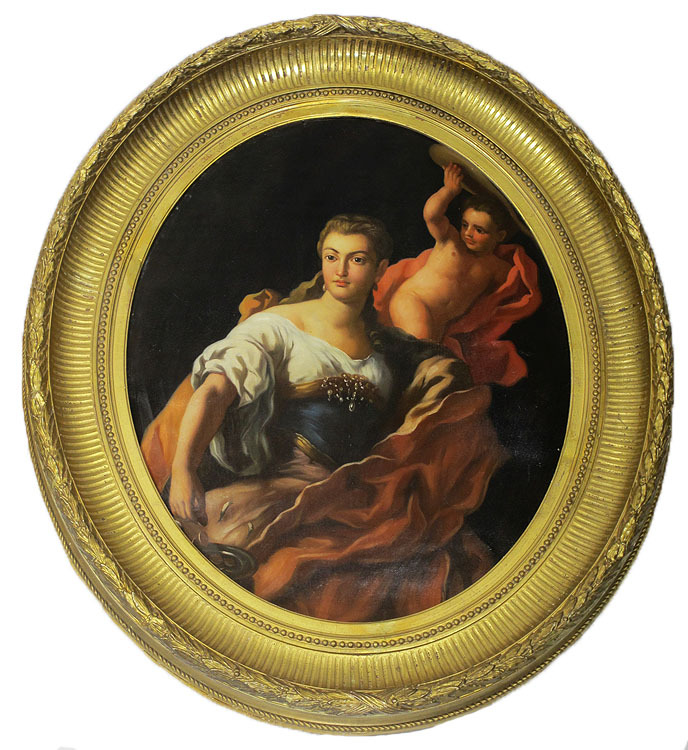 Virtue is depicted by a similar maiden in armor with a spear and helmet, flanked by a putto holding keys. 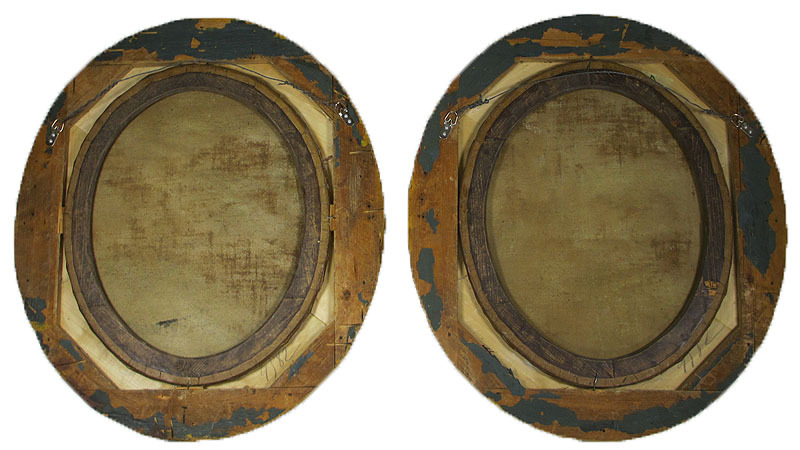 Both artworks within a gildwood and gesso oval frame. 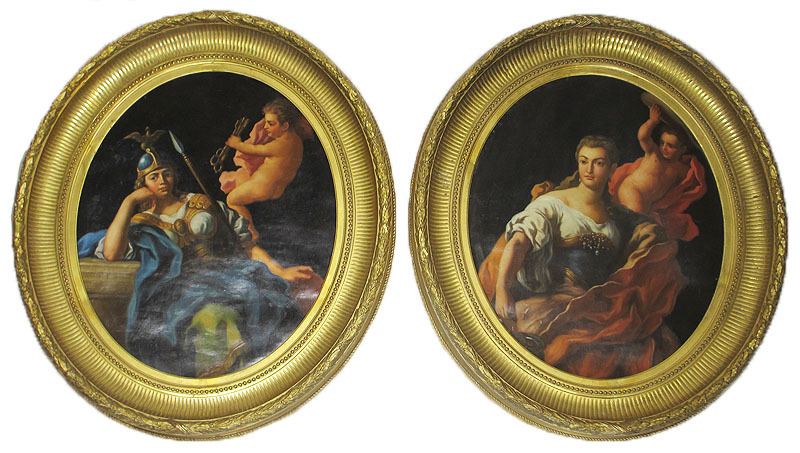 Circa: 1860-1870.